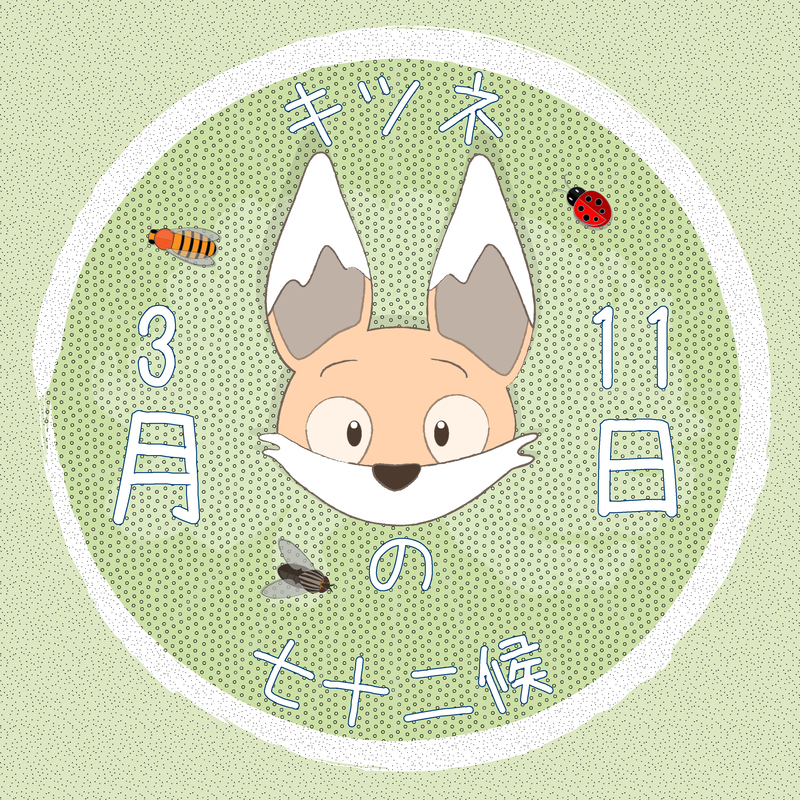 According to the traditional seasonal almanac or ‘shichijuniko’ (72 seasons) the sekki which runs from 6th – 20th March is known as 啓蟄/ Keichitsu or ‘Awakening of Insects’, a time when the ground is slowly beginning to warm and hibernating insects begin to emerge. 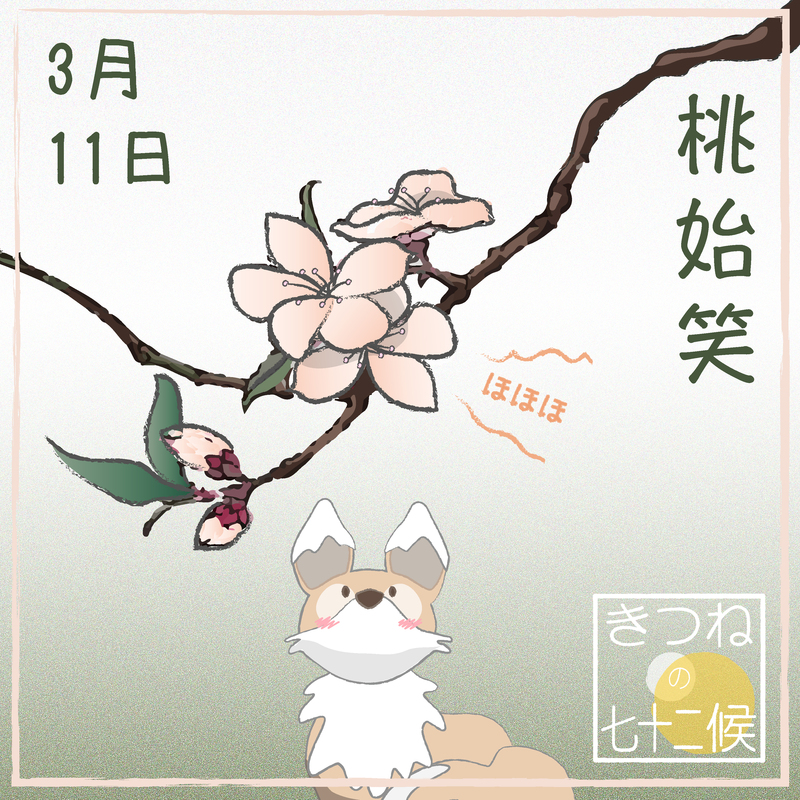 It is separated into three ‘ko’, the second of which is ももはじめてさく(momo hajimete saku) “peach blossoms flower”. I adore the picture of kick looking at the peach blossom. Such a lovely, happy sight. I love the words “peach blossom laughter”. It’s a (very short) poem!